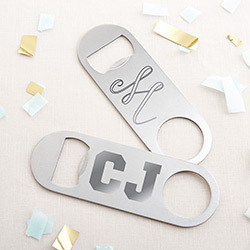 Pop open a ton of fun with this great party favor at your next special event Kate Aspen's Personalized Silver Oblong Bottle Opener. The silver stainless steel on this beer opener looks so classy, and your engraved custom details make a great statement and memento for you or your guests. 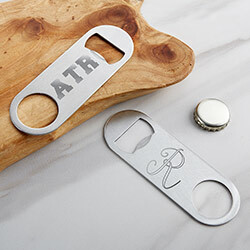 It's not just an ordinary bar tool - it's so much more!